International Assistance Dog Week was established by Marci Davis, the author of Working Like Dogs: The Service Dog Guidebook, host of PetLifeRadio.com’s internet radio show “Working Like Dogs, and a paraplegic, to honor these loyal companions that through training and constant love transform the lives of those with disabilities. The holiday also promotes awareness and educates the public about service dogs and recognizes those who raise and train them from puppyhood. To commemorate today’s holiday, learn more about assistance dogs and the heroic deeds they perform. To learn about events in your area, visit the International Assistance Dog Week website. Image copyright Scott Magoon, 2018, text copyright Jessica Kensky and Patrick Downes. Courtesy of scottmagoon.com. Meanwhile Rescue was learning all of the skills he’d need as a service dog. He learned how to fetch things and open doors. Jessica was also learning new skills. She practiced using a wheelchair, getting out of bed, putting on her prosthetic leg, and walking. Even though she made progress every day, Jessica felt frustrated about the things she could no longer do. At last, the day arrived for Jessica and Rescue to meet. They liked each other immediately. After Rescue showed Jessica all the things he could do, they went back to the city to begin working together. Rescue brought her things she needed, he barked when Jessica needed someone, he could even push the walk button at street crosswalks. Image copyright Scott Magoon, 2018, text copyright Jessica Kensky and Patrick Downes. Courtesy of Candlewick Press. Even though Rescue was a strong worker, Jessica knew he was also a dog who liked to have fun. “She made sure that Rescue had playtime every day.” Then one day, Jessica’s “doctor told her that her right leg would have to be removed too. She would need to wear two prosthetic legs.” Jessica was very sad, but Rescue knew just what to do to help her. As Jessica slept, Rescue cuddled up next to her. Once again, Jessica and Rescue went into training together. “They did chores together, played together, and snuggled together.” Both Jessica and Rescue felt happy. “‘You changed my life, Rescue,’” Jessica told her companion. “‘I couldn’t have done this without you.’” Rescue was proud of them both. An Author’s Note from Jessica Kensky and her husband Patrick Downes, both injured in the 2013 Boston Marathon bombing, follows the text and provides more information about the story, their Service Dog, Rescue, and the NEADS organization. Based on Jessica Kensky’s real-life partnership with Rescue, Rescue & Jessica offers children a thoughtful and honest portrayal of loss, hope, and recovery. Jessica’s story will touch young readers while answering questions that many have as they interact with and see similar partnerships of Service Dogs and children or adults with physical disabilities. The Boston Marathon bombing is never mentioned in the story, leaving it up to adult readers to explain the details depending on the age and sensitivities of the listener. The addition of Rescue’s point of view gives readers a window into the intelligence and loyalty of these valiant animals. While not shying away from the difficulties that Jessica faced, each page is infused with courage and the resiliency of the human spirit. Scott Magoon’s realistic, digitally created illustrations will rivet children to the story with clear depictions of Rescue’s training and Jessica’s stay at the hospital. As Jessica suffers grief and worry, she is surrounded by darkness, but even here, spots of light are given in images of her parents’ vigil at her hospital bedside, a physical therapist’s encouragement, and the comfort Rescue provides on a starlit night. As Jessica learns to walk again with her prosthetic leg, black storm clouds give way to gray showers seen outside the therapy room window and the city—her home and ultimate destination is seen across the river in the distance. A sunburst accompanies Jessica’s first experience with a Service Dog, and as she and Rescue become partners, the gray-tone images acquire a bit of green grass that blossoms into spring and then full-fledged summer when Jessica resumes some of her past activities with her family. The final two-page spread of Jessica, with Rescue by her side, leaving gray skies behind and walking across a bridge toward home and the glowing promise of a sunny day is moving and triumphant. A poignant and uplifting story, Rescue & Jessica: A Life-Changing Friendship is highly recommended for any young reader and a must for pubic and school or classroom libraries. These homemade dog biscuits are fun to make and a special treat for your dog at home, a neighbor’s pet, or dogs waiting for forever homes at your local shelter. Why not get together with your friends and make a batch? Then share them with your pets or dogs who need a little extra love. Children should get help from an adult when using the oven. Biscuits will be hard when cool. Launched in 1999 by the Association of American Publishers and managed by Every Child a Reader, Get Caught Reading Month hopes to instill a love of reading in every child and encourages people of all ages to read more. Celebrities, authors, illustrators, and others participate by sharing pictures of themselves reading an old favorite or new book on social media. Special materials are available for and programs held in schools, libraries, bookstores, and community venues all month long. 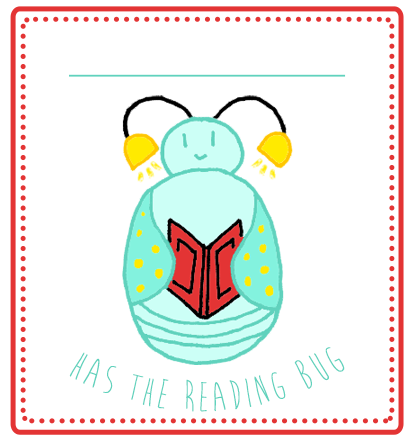 Why not join in by finding a new book to love—like today’s book?! For more information and to find resources, visit the Get Caught Reading website. Penguin Random House sent me a copy of A Chip Off the Old Block to check out. All opinions are my own. I’m partnering with Penguin Random House in a giving away a copy of A Chip Off the Old Block. See details below. I’m excited to talk with Jody Jensen Shaffer today about what she loves about writing poetry, fiction, and nonfiction, her favorite childhood memories, and her rescue dog, Sophie. What was the spark for A Chip off the Old Block? Hi Kathy! Thanks for having me on your blog. The spark for A Chip off the Old Block was the phrase, “Rocky loved his rock star relatives.” It came to me as I was brainstorming picture book ideas, and it felt like the first line of a story. I loved the word play of the line, so I created a story around it. I just had to discover who Rocky was and what his story would be. A Chip off the Old Block combines terrific storytelling with science and history. What would you like for readers to take away from the book? How have children reacted to Chip? Thanks! It was lots of fun to write. I hope readers take away from the book the idea that you’re never too small to matter and to never give up on your dreams. Bonus points if they learn a little about rocks, US landmarks, maps, and natural formations! I’ve been really happy with how Chip has been received by children and adults! One class even did a Google maps tour of the places Rocky visits in his travels. 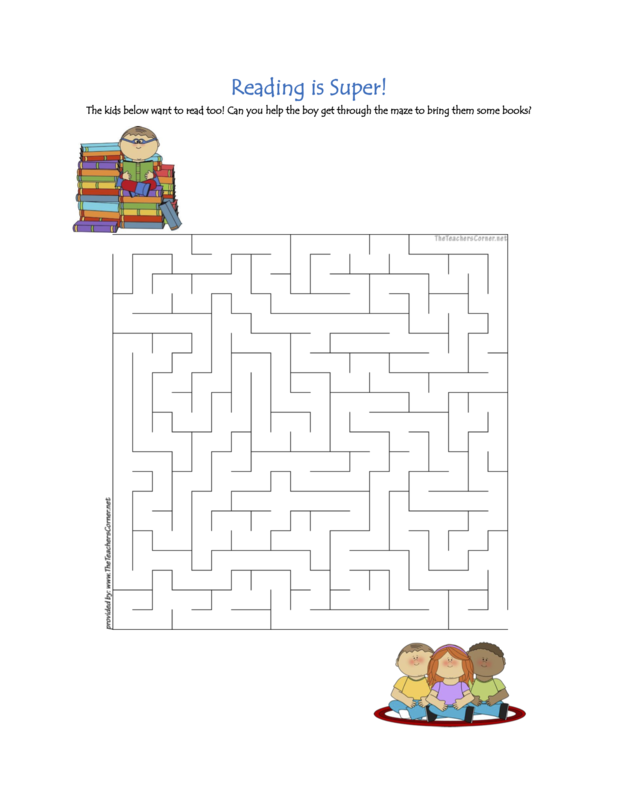 You write across the spectrum of children’s literature from poetry to nonfiction to fiction. Can you briefly describe what you like about each? I love writing poetry because of the challenge of the form. It’s like putting a puzzle together, and the pieces are brevity, beauty, meaning, and joy. I love writing fiction because I can choose any characters I want, put them in any situations I want, and have fun with the language, voice, and story. I love writing nonfiction because I love learning new things! And my interest in science comes to me naturally because of my dad’s influence. He was a college professor of biological sciences (and a great wordsmith). You’ve said that you loved being a kid. What’s one of your favorite memories? How does being able to tap into that feeling of childhood influence your work? I have so many great memories of my childhood: fishing with my family at local ponds, riding bikes to the swimming pool, visiting my dad’s lab at the college, even working our huge garden with my siblings (before we were allowed to ride our bikes to the swimming pool). I feel so blessed to have had the parents I had and the childhood they gave me. It’s easy to recall feelings of being loved and valued. I hope to send that same message to my readers through my writing. You say you can remember the exact moment you learned to read. Can you talk about that a little? It’s a very brief memory. I was reading an early chapter book and laboriously sounding out each syllable, index finger on page, when it occurred to me that if I just read “lighter,” the words might come to me more easily. I relaxed, I guess, and the words came. It was like a light switch turned on. From then on, I read fluently. 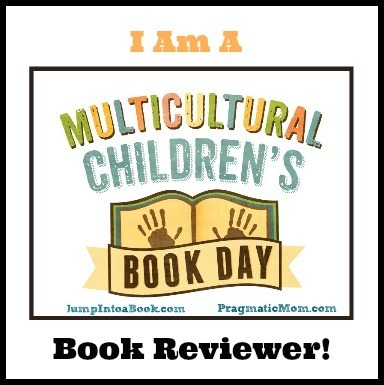 What’s the best part about being a children’s author? Do you have an anecdote from an author event that you’d like to share? There are so many great things about writing for children, and I feel really blessed to be able to do it, but if I have to choose the best thing, I’d say it’s being able to play with words for a living. In terms of an anecdote, I was Skyping with a class for World Read Aloud Day recently, and a little guy stepped up to the screen and told me how much he liked one of my less well-known books. I felt his sincerity, and I appreciated him telling me. In 2017, your book Prudence the Part-Time Cow was chosen to represent Missouri in the National Book Festival in Washington DC that is hosted by the Library of Congress. Can you talk about this honor a little? How was Prudence chosen and what did it mean for you as an author and for the book? I was super excited to learn that the Missouri Center for the Book chose Prudence for that honor! At the National Book Festival, each state chooses a book to represent it. All the states’ books are displayed together in one room for festival-goers. I didn’t attend the event, but several people who did told me Prudence sold out several times! You’re a dog lover and have a rescue dog named Sophie. I’d love to hear more about her! How much time do you have? Just kidding. She’s part long-haired dachshund, part chihuahua, we think. Very friendly, a good walking companion, pretty, and a real cuddler. She sleeps under the sheets with us. In July 2018, just in time for back-to-school, Beach Lane will publish It’s Your First Day of School, Busy Bus! about a school bus’s first day of school. In 2019, Grosset & Dunlap will release my bobble-head biography, Who Is Jackie Chan? I’ve got more projects coming that have yet to be announced, so I better stop there. I’ll continue to publish poetry in great children’s magazines, too. What’s your favorite holiday? Do you have an anecdote from any holiday you’d like to share? I really like Earth Day and Arbor Day. I love helping take care of the earth. Thanks, Jody! It’s been so great chatting with you! I wish you all the best with A Chip Off the Old Block and all of your books and projects! 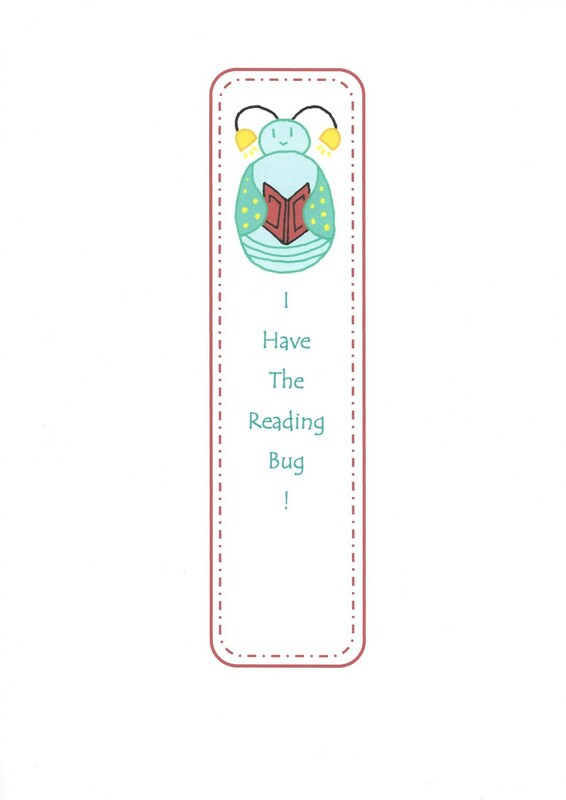 If you love to read, show it with these printable Reading Bug book bling! As the school year winds down, all of those soon-to-be preschool graduates are looking forward to going to kindergarten in the fall. Becoming a “big kid” with new friends to make, new responsibilities, and lots of new things to learn is exciting. National Kindergarten Day celebrates that feeling and wishes all young learners the best start to their school career. A little girl wakes up before the sun to start her day. She’s ready and rarin’ to go so why aren’t Mommy and Daddy? Slippers on, she runs to wash her hands “without a hitch” even though—Oops!—the soap is so slippery! Next she brushes her teeth, which is a cinch once there’s more toothpaste in her mouth than in her hair and on the mirror. She’s even got the potty thing down. Then, says the girl it’s “Onto the bed, where I jump up and down. / Whee! There’s no time to waste as I flop around. / Mommy wrestles me into my clothes. / Daddy slide socks and shoes over my toes.” She ties her own shoes over mismatched socks, and her coat, though askew, is buttoned bottom to top. Before school she has just enough time to slurp down some milk. Her kitty laps up the splashes and drips. Bundled up for the cold, the little girl strides out the door, but just at the edge she trips over the rug. Not to worry, she says. “I pick myself up, / then I wave and smile.” And so what if “getting me into the car seat / takes a while.” At school she climbs the stairs without any help. She puts her backpack on the shelf and her coat on the hook—well, almost. In Kim Crockett Corson’s “can-do” book for young readers, a little girl is exuberant and positive as she gets ready for school. Kids will love the girl’s infectious personality that turns every experience into a self-confidence boosting success. The cheery rhymes echo the little girl’s attitude, making My Good Morning a perfect book to share with readers who are beginning to make their way in the world. Jelena Brezovec’s colorful illustrations offer both humor and encouragement as she juxtaposes the little girl’s view of her accomplishments with the small mishaps that accompany them. The girl’s parents are in turn smiling, frazzled, watchful, and ultimately proud. Brezovec’s portrayal of an interracial couple is welcome, and the curly-haired little girl will become a fast friend to little readers. Discover a gallery of illustration work by Jelena Brezovec on her website! You can make every day a good day just by remembering the good things (even one good thing) that happened. 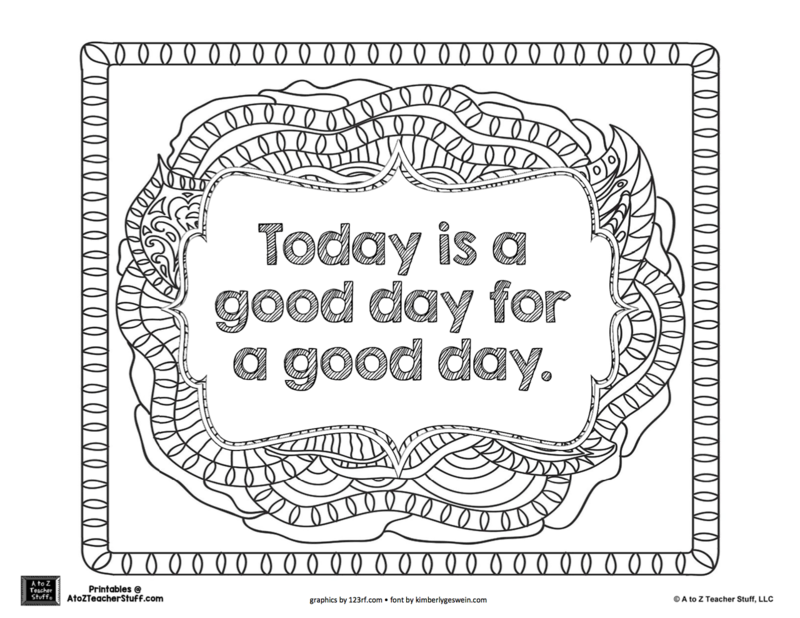 Color and hang this printable Today is a Good Day Coloring Page. It will make you smile! Horses have been companion and work animals for people around the world since earliest times. Their beauty, strength, and swiftness are inspiring and are just a few of the reasons that horses continue to be favorites of children and adults alike. Today’s holiday was established in 2005 to raise awareness of horses who need forever families to adopt and care for them. If you have a special place in your heart for horses, consider donating to a cause that protects them—or, if you have the room and the means, think about adopting a horse yourself! Pony in the City is a cute, endearing ride of a story that will enchant children. The book would make a perfect gift, especially for horse lovers, and would be a favorite on home, classroom, and library bookshelves. There are so many beautiful horses in the world! 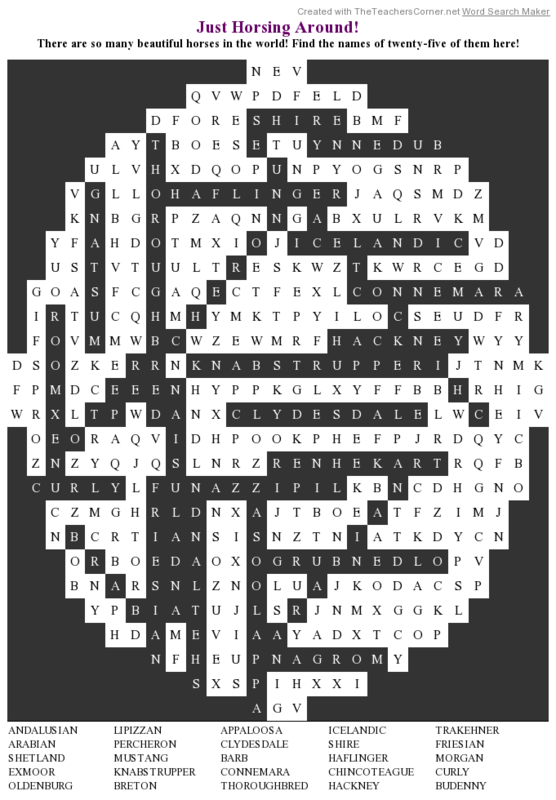 You’ll find the names of twenty-five types of them in this printable Just Horsing Around! 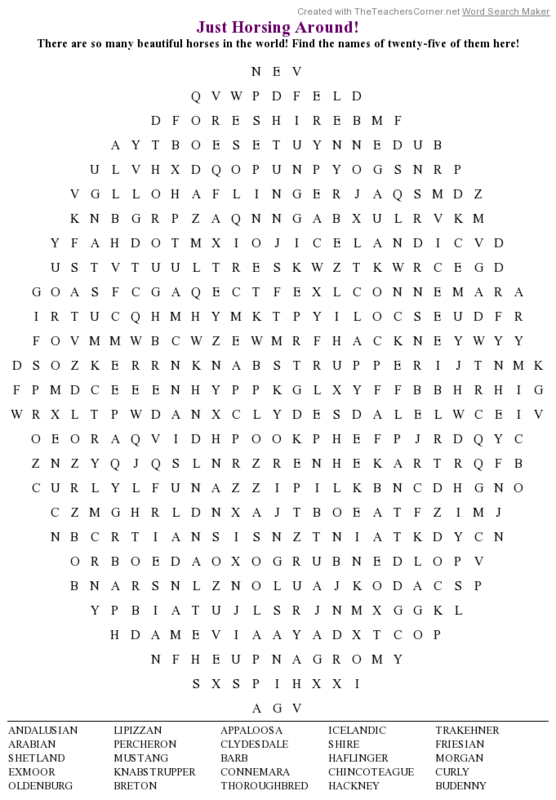 Word Search Puzzle. Enjoying a good quality of life means being happy where you live and in your relationships, your job, and your situation in general. Finding the right balance can be hard, but with perseverance and support from friends and family, you can discover and attain the best lifestyle for you. Little Car’s dad wanted him to be a city taxi, like him; his mom hoped he’d be “a family car and settle down in a garage close to home.” Neither of those futures, however, offered the excitement of “herding cattle by day” and the camaraderie of “circling up around the campfire at night,” so when Little Car grew up he headed out West. First, he needed to look the part, but where would he find a hat big enough? He pulled up at a cowboy supply depot, and there on the roof sat the perfect 50-gallon hat! Image copyright Ovi Nedelcu, text copyright Jeanie Franz Ransom. Courtesy of Two Lions. With the hat settled firmly on his roof, Little Car drove on to the Circle R. Ranch. There he met Dusty, who listened to Little Car’s dream of being a cowboy and gave him a bit of bad news: “‘Cars can’t be cowboys. They can’t ride horses!’” Little Car was disappointed, and so was Dusty—the ranch really needed extra help. Little Car wanted to prove his mettle, so Dusty agreed to let him try a few cowboy tests. The next morning, Little Car “zoomed around the barrels in no time. He was used to making quick turns around tight corners in the city.” He was also strong enough to carry heavy loads and move bales of hay. He could even round up li’l doggies in the dark in the beam of his headlights. The next day Dusty promised to take Little Car to the rodeo. When they got there, though, Little Car was told he couldn’t participate because he didn’t ride a horse. Still, he was excited to watch Dusty ride Double Trouble, the biggest, meanest bull on the circuit. With Dusty hanging on tight, Double Trouble bucked and snorted and leaped. In a minute Dusty was thrown to the ground, and Double Trouble was headed straight toward him. Li’l pardners enamored of the cowboy life will be charmed by Little Car and his dreams to leave the big city for the freedom of cowboy life. With clever turns of phrase and a sprinkling of puns, Jeanie Franz Ransom takes readers on an endearing ride through the ups and downs, disappointments and successes of navigating life on one’s own. When Little Car uses his city experience, smarts, and courage to save Dusty and earn a spot at the ranch, despite not being able to ride a horse, kids will see that they too can overcome obstacles and accomplish their goals. Children will love adorable Little Car as he snuggles next to his mom and taxicab dad in the garage. With wide headlight eyes and a grill with an ever-present grin, Little Car makes his way out West, where kids will giggle at the 50-gallon hat atop an old general store, whoop as Little Car completes his cowboy tests, and cheer when he outwits Double Trouble to save the day. As Little Car drives off into the sunset, readers will know that he—and they—have a bright future ahead. Car and cowboy or cowgirl enthusiasts, as well as kids new to school and other activities will find a friend in Little Car and ask to hear his story again and again. Cowboy Car would make a sweet addition to story time and bedtime reading. Discover more about Jeanie Franz Ransom and her books on her website! You’ll find a portfolio of books and illustration work by Ovi Nedelcu on his website! These four kids are ready to head out and enjoy the day! 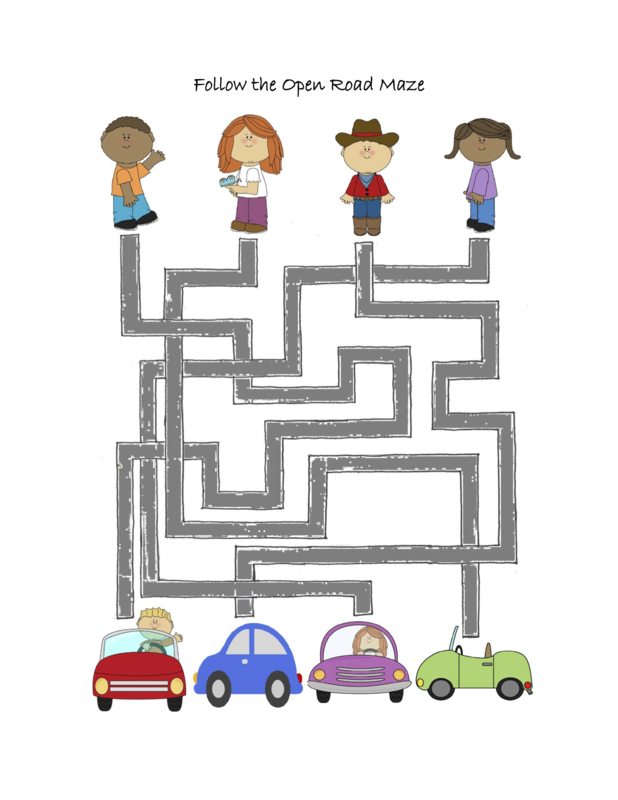 Match each child to the right car in this printable Follow the Open Road Maze to get them on their way! The argyle pattern that is so familiar today comes from the tartan of Clan Campbell, which originated in Argyll in western Scotland. The pattern was used by Clan Campbell for kilts and plaids, but has distinguished socks of various clans in Scotland since the 17th century. The argyle pattern became popular in Britain and the United States following World War I when the Duke of Windsor adopted it for his golf clothing. Today, argyle can be found on clothing, furniture, fabrics, and decorated items of all kinds. Argyle Fox lived in a tree in the middle of the forest. Badger, Beaver, and Groundhog lived nearby. One spring day when the wind whipped “down the mountainside and through the trees,” little Argyle told his mother that he was going out to play cards. His mother was skeptical, telling him his cards might blow away. Argyle found a spot on an old tree stump and, when the wind died down, he built a tall house of cards. Just as it had grown to be the “tallest tower in the whole world,” however, the wind came and sent it flying. Copyright Marie Letourneau, 2017, courtesy of marieletourneau.com. But the wind whooshed through the trees, and Argyle ended up tangled and upside down in his own web. Playing pirate by the creek sounded like a better idea anyway. Argyle planted his jolly roger on a stump spanning the river and “set sail,” but the beavers said, “‘You can’t play pirate in the wind, Argyle Fox.’” Argyle looked at the beavers. “‘Arrg,’” he said. “‘I’ll make you walk the plank.’” Just then the wind picked up his newspaper pirate hat and sailed away with it. “‘Argyle stomped off toward the meadow’” with his soccer ball. There he met Badger. “‘I’m the star of the soccer team,’” Argyle told him. “‘I will now kick the winning goal.’” Badger didn’t think this was a good idea in the wind, but Argyle replied, “‘You’d better watch out or I will tackle you!’” Argyle kicked the ball as hard as he could. The wind caught it and threw it into the branches of a tall tree. Argyle scampered off to the hill where he built a cardboard-box castle. Brandishing his sword, Argyle cried out to Groundhog, “‘I am a brave knight, ready to fight the terrible, ferocious, fire-breathing dragon!’” Groundhog cautioned Argyle about the wind, but Argyle only challenged Groundhog to a duel. Before the duel could begin, though, the wind picked up Argyle’s castle and carried it far away. At last the wind came by and Argyle let go of his creation. “Huzzah!‘ cried Argyle. ‘A kite is the most prefect thing to play in the wind.’” Argyle’s mother was proud of him for thinking up a kite all on his own. Argyle was so happy with his kite, that he made one for each of his friends, and they all flew their kites in the meadow together. Marie Letourneau’s story of a little fox who just wants to play and is thwarted at every turn is a multi-layered tale of life’s ups and downs where big ideas sometimes get carried away on ill winds. Such times can bring disappointment or, as Argyle finds, an opportunity for discovery and accomplishment. As little Argyle tries game after game in the disruptive wind, disregarding the warnings and advice of his older neighbors, he learns through his own experience. His frustrations are vented in language appropriate to each character he plays and will make kids giggle. When Argyle goes home, listens to the gentle encouragement of his mother, and comes up with his own solution, he experiences the excitement and satisfaction of self-reliance and ingenuity. Letourneau’s delicately beautiful illustrations in soft blue, green, and orange hues will charm readers as adorable Argyle tries building a house of cards, building a web, playing pirate, kicking the soccer ball, and playing knight in lovely, detailed scenes that kids will like to explore. When Argyle goes back home, children will be intrigued to see how pieces of each of his toys become a part of his kite and may very well want to read the story again to find all the ingredients to that perfect windy-day plaything. In addition to being a cute adventure to share with young readers at home or in the classroom, Argyle Fox is a terrific lead-in to discussions about self-reliance, self-confidence, creativity, and trial-and-error as well as the possible consequences of this important method of learning. Learn more about Tanglewood Books on their website. Discover more about Marie Letourneau, her books, and her art, and find fun activities to download on her website. Argyle patterns come in all colors and make whatever they decorate look festive! Design your own argyle pattern with this printable Argyle Pattern Template.